Now that spring has arrived, one chore at the top of many homeowners’ “to do” lists is spring cleaning. Spring cleaning is a very old tradition and typically involves giving your home a more thorough cleaning than usual, but is there a difference between spring cleaning activities and deep cleaning? Even if you think your normal spring cleaning routine is pretty extensive, odds are, a deep cleaning would be even more thorough. Deep cleaning goes beyond getting rid of clutter, dusting off your shelves, and having your curtains and carpets cleaned. The expression “cleaning the house from top to bottom” is not an exaggeration when it comes to deep cleaning. By having your home deep cleaned, virtually every single surface and corner of your home gets some attention. 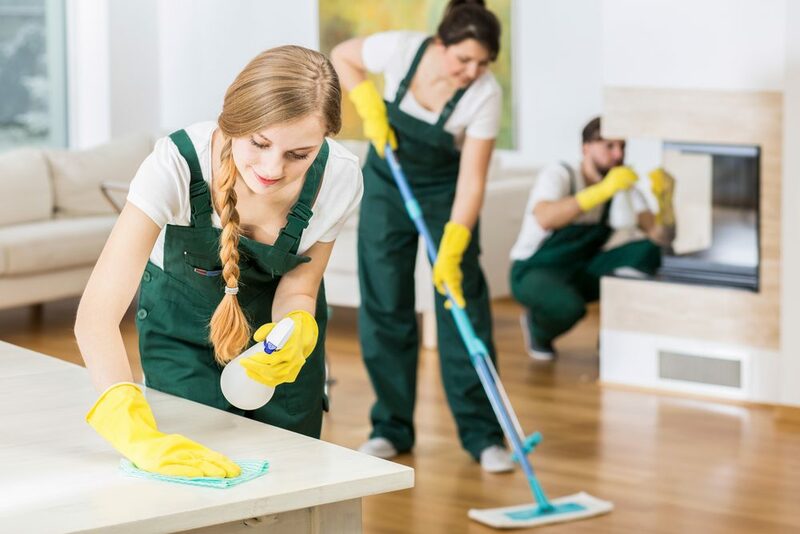 While deep cleaning is extremely thorough, it’s also very time consuming to do on your own and hiring a team of cleaners to the job for you can set you back a few hundred dollars. Deep cleaning isn’t always right for every homeowner, but there are some situations where going the extra mile could be worth it. Whether it’s a holiday party or something special like a graduation party or bridal shower, hosting an event at your home can be very stressful. In addition to planning the event itself and coordinating the food, you also have to worry about getting your house ready. Hiring some cleaners to deep clean your home for you would not only get your house nice and clean for the big day, it frees up your time to deal with other things. A new baby is a major life event and once the baby is at home with you, you might not have the time or energy to deal with cleaning the house. Many parents-to-be also like the idea of bringing the baby home to a house that’s as clean as it can possibly be. As you get closer to the baby’s due date, having your home deep cleaned is an excellent way to make sure your home is ready for your new arrival. Spring can be a rough time of year for people who suffer from allergies. Having your home deep cleaned is a great way to get rid of dust and other airborne allergens which may be hanging around your house. Deep cleaning can also help improve your air quality in other ways, since cleaners often discover mold before it’s had a chance to become a big problem. Is your home about to hit the market? Before prospective buyers start stopping by, having a cleaning team come through to deep clean it is one way to make a great first impression. That way, people are seeing your home in its very best condition.